Well – what a day. It was freezing cold in London and elsewhere, but the Russolo 100th anniversary celebrations gathered interest from around the globe. 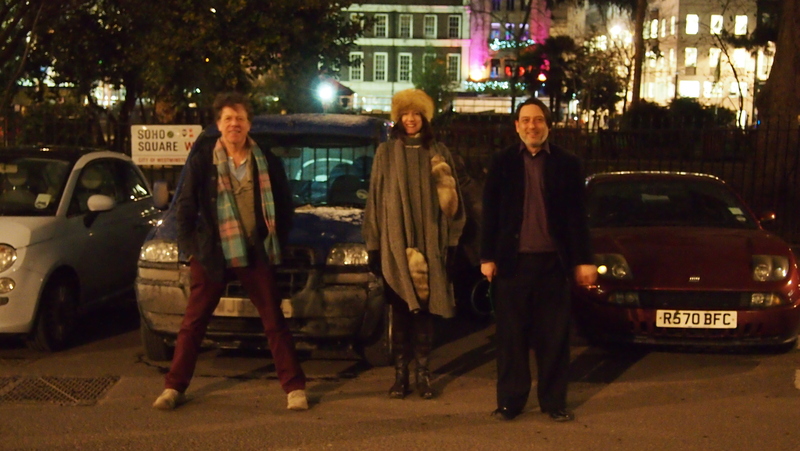 In London The Neo Futurist Collective headed by myself performed Cartet to a dedicated sound art audience braving the cold in Soho Square with a reporter from classical music station BBC Radio 3 recording the proceedings. Thanks to my fellow performers Harry Ross, Peter Faulkner and Kay Aplin who did a sterling job in interpreting my score! In Como, Italy just outside Milan, Marsiglione Arts Gallery commemorated the occasion with a special exhibition dedicated to Russolo’s work. The gallery are specialists in the work of Russolo and hold a large archive of his paintings. The exhibition continues until April 6th. In Amsterdam, Professor Russolo and his Noise Intoners picked up some extra performers en route on their noisy bicycle ride and gained media useful coverage on local TV and radio. In Devon UK, Joe Stevens organised a series of radio broadcasts live from DIVAcontemporary. You can listen here and watch on YouTube. I also heard of events in Paris, Brussels and Chicago. If anyone has documentation of these or any others, please post links in the comments.